Sarah and her adult daughter Crystal came to the Liberty Center devastated and frightened. Six months earlier their home that they had lived in for 23 years had been sold. With Sarah’s marriage breaking up they moved in with Sarah’s brother believing that he would take care of them. Soon the utilities began to be turned off and the food ran out. The final blow was the eviction notice they received on November 29th. They had no where to go and did not know what to do. They called their pastor and spent the night with his family. The next day the pastor suggested they come to the Liberty Center. They did. At times Sarah and Crystal’s stay the shelter was like a roller coaster. They had so many disappointments before coming here; they sometimes expected things to fall apart again. They had to learn to believe and trust that God would make a way for them. As time went on Crystal found a job and Sarah applied for Social Security. The pieces of the puzzles began to come together. Sarah said “it was amazing to watch how the Lord worked things through.” They were ecstatic when they found an apartment where they would be able to live together. Sarah and Crystal are very happy in their new apartment and are enjoying hobbies such as crafts, crocheting, playing keyboard and listening to Christian music. When asked what they would tell someone else if that person was homeless, Sarah said “Go there no matter what your opinion about homeless shelters or circumstances. It is a safe place to be, don’t be afraid. Go with a positive attitude and willingness to do what they ask, they won’t ask anything that will hurt you.” Crystal said, “Trust the people that are there to help you.” Sarah and Crystal both said they loved the staff and volunteers and that they were very kind and encouraging. Sarah remembers that one of the volunteers reminded her that God was in control. 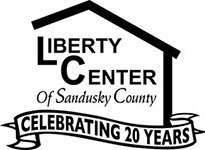 They said all of the referrals from the staff were helpful since they were not aware of the services that are available in Sandusky County. Crystal and Sarah both said the case management was great; they were not treated like a number. They knew that it wasn’t just a job for the staff but that they all really did care. Sarah and Crystal have been back to visit the shelter and will be volunteering in the near future. Crystal is considering taking training classes and Sarah is seeking God to see what He will have her become involved with. They now have hope for the future and are so appreciative of their time at the Liberty Center. Liberty Center, An Oasis in the Desert of Life! You’re on the street homeless. Your day is filled with lugging around what meager possessions you have. Oh, you could hide them somewhere and pray that someone won’t find them. Or you could take them with you to that important job interview hoping that your future employer won’t take a look at your baggage and throw you out on your ear. As a street person, you worry about where your next meal is coming from. When will you get to take another much needed shower? Most importantly, where are you going to sleep? Under a bridge? By the river? Maybe, just maybe, you can sleep in a bed at a shelter. Also, how are you ever going to get your clothes clean? When you stay at a shelter you worry about the men or women who are staying there also. What kind of backgrounds do they have? Are they on dope, do they steal, are they vicious? Are you going to wake up one morning and find your belongings gone? Speaking of waking up, when you get up and leave for the day you have to take everything you own with you. Believe me, it’s hard finding a job with luggage in tow. It’s different here at the Liberty Center. I know, because I am homeless. In the past year I have been at shelters in Houston, San Antonio, and Toledo in a quest for that all important job. I’ve been embarrassed about my appearance. But I haven’t given up. Somehow I ended up at the Liberty Center and I was immediately impressed. The staff treated me like an equal and didn’t look down their noses at me. They made me feel comfortable and at ease. The place is clean. I mean real clean. The staff members and volunteers are concerned about each person that stays here and helps them in any way they can, even if it’s just a shoulder to cry on. Here at the Liberty Center you are given a bed and a place to store your belongings. Each person is assigned chores to do on a daily basis. You are free to come and go during the day. Job searches, doctor’s appointments, etc. fill your day up. Everyone signs in and out and has to be in by curfew. There are washers and dryers so we are able to keep our clothes clean. The men stay downstairs and women, children and yes, even couples and families stay upstairs. When a new person comes in, not only do the staff and volunteers make them feel at home, but the residents welcome them with open arms. Each of us know what a person goes through when first here and do what we can to make them feel like ‘one of the family’. Sometimes it’s hard saying good-bye to someone whose time is up, but we are happy for that person because we know they’re going forward not backwards. So we give our thanks to the Liberty Center, the staff and volunteers. We love you all. Update: Since posting this story, this resident has found an apartment and is doing well.